Soooo.. in case you missed it, I dyed my hair purple! Desperate to inject some colour into my dark hair, I’ve been DIY colouring for years but never managed to get the vibrant colour I so desired. So I gritted my teeth and admitted it. I needed professional help. 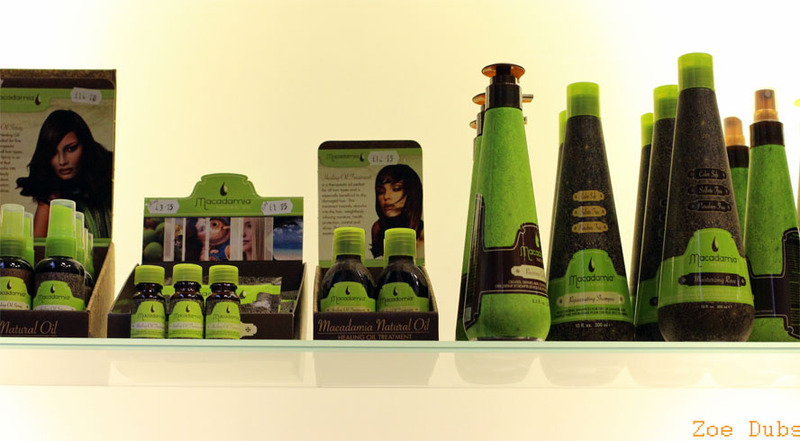 Enter ColourNation on Winsley Street, a London salon specialising in hair colouring, hair extensions, hair straightening and digital perms. It’s on a quiet street right off Oxford Street and I never even knew that it was there – tucked away like a hidden gem, away from the buzz of Oxford Street. Great location and very reasonable prices, given that it’s a salon in Central London. But what about the results? Let me tell you what went down. 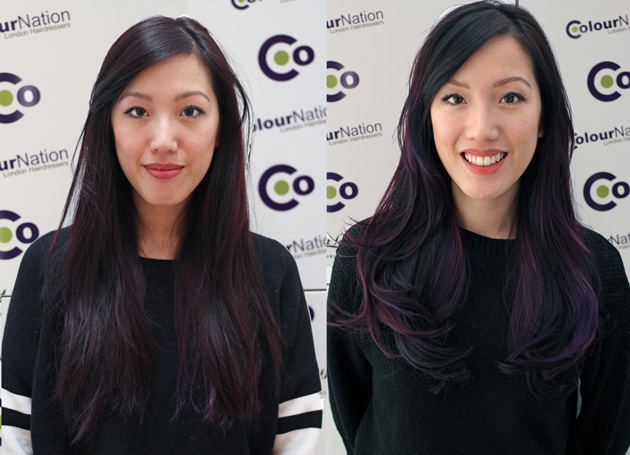 First up, I had a colour consultation with senior stylist Lucia, to tell her about what I wanted to have done. I say “tell”, it was more like “show her the Pinterest collages” I had created. Does anyone else do that?! Lucia basically then told me that every picture on there was basically a lie – Instagrammed and edited beyond recognition. Doh, dreams dashed. But could she do it? Yes, most likely. Dreams, BACK ON THE TABLE! Lucia was careful to talk me through my options. 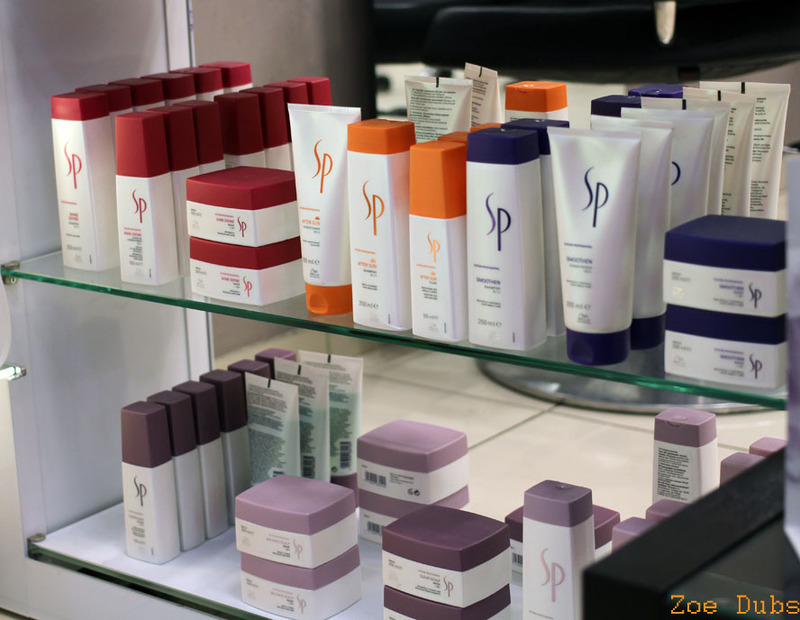 Instead of traditional bleach, she planned to use Magma, a new type of bleach by Wella Professionals which lightens hair and deposits colour into the hair shaft at the same time. Therefore it doesn’t take as long to bleach and colour hair, as well as giving a good base colour for your hair. Sounded like a plan to me! Unfortunately, on the day of my appointment, the shade of Magma required was not available so I had to make do with traditional bleach instead. Oh well, it still did the same job, just took slightly longer. The first step was to lighten my hair. 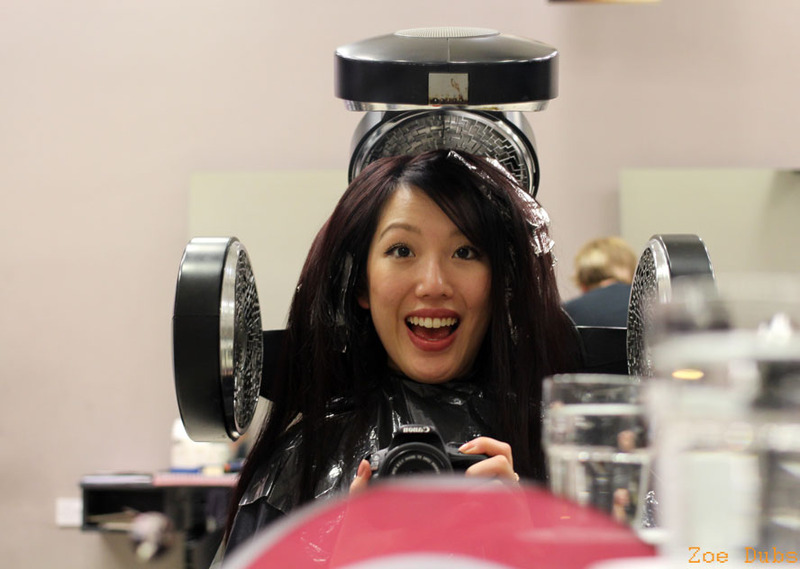 I had the bleach applied to my hair, wrapped in foils and heated under a lamp until the ends were that perfect straw colour, without any orange brassy tone. The bleach was washed out with a silver toning shampoo and inspected at great length. Where the colour wasn’t right, Lucia took more time to apply more bleach – I appreciated this attention to detail! It was late and I was the last customer but Lucia soldiered on, to get it just right. Next, a vivid blue purple colour was mixed and applied to my freshly bleached ends before being left to absorb and washed out one more time. Ta-da! I absolutely LOVE the results – when directly in the light it is EVEN more vibrant than in this pic and when indoors, it’s subtle enough for me to wear to the office. Super wearable for such a bright colour. I particularly like the different tones and shades of purple which adds movement and makes my hair look much thicker than it is. Lucia has noticed a trend moving away from ‘perfect block colour’ to mixed tones through the hair with more clients trying ombre looks and different levels of colour. ColourNation itself is a delightful salon – spacious with high ceilings, it even has sofa chairs that MASSAGE you whilst you have your hair washed. What a dream! Seriously, who would believe that this little oasis of calm is right off Oxford Street? I’d done my research and looked at their portfolio of looks on the ColourNation Twitter and Facebook page and was reassured that I had picked the right place. It’s always good to look at the past work of hairdressers, particularly when bleach is involved! There’s no pretending – as I mentioned in my Yahoo! 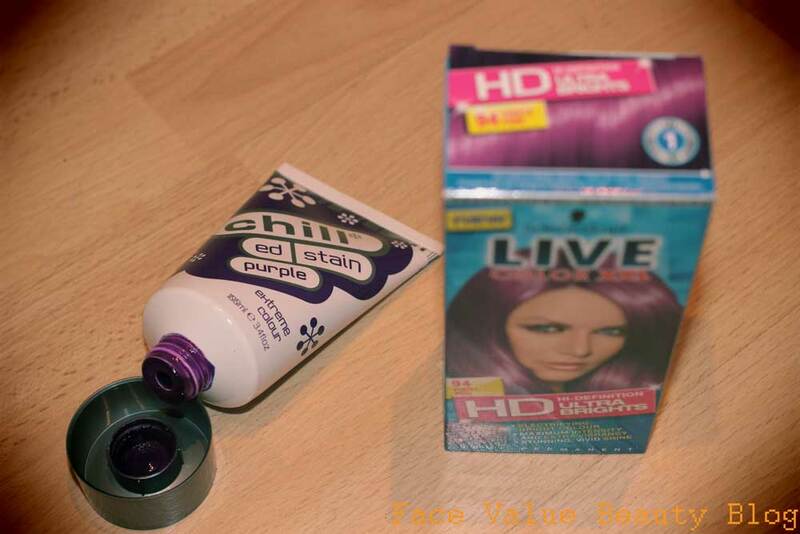 Purple Hair post, this sort of colour requires maintenance! The price you pay for vibrant colour! To keep my colour fresh, I apply a mask of purple colour every other week. Schwarkopf XXL Ultra Brights and Chill Ed Stain are great for this. (I introduced these in my home hair dye post here.) The Chill Ed Stain is particularly moisturising but not quite as vibrant as the Ultra Brights. 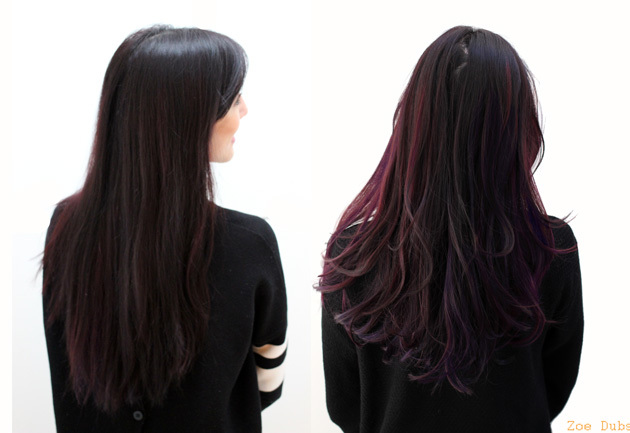 Mix these semi-permanent colours in with a bit of conditioner and apply to damp hair before leaving for about 15 minutes – I definitely recommend clingfilming your hair up unless you want purple streaks everywhere! FACE VALUE DEAL ALERT: You can get 20% your colour with the same stylist! 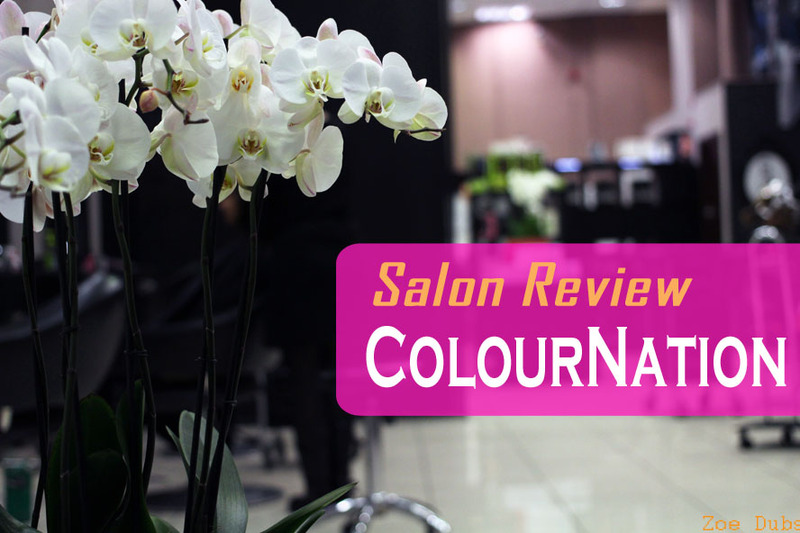 Quote my review and code YHCN15 for 20% off Colour Mon-Thurs 10-4pm at ColourNation with Senior Stylist Lucia! For more colour care and my top tips on picking the right colour for you, check out my purple hair tips that I wrote for Yahoo!Lifestyle. Who inspired my colour?? Find out on Yahoo!Lifestyle UK. What do YOU think then? Tweet me your thoughts @FaceValueBlog or send me a comment on Facebook! Next Post Free Benefit RollerLash: Will I Buy The Full-Size Mascara?